Manchester-based agency, CTI Digital, have completed a Management Buy Out (MBO) from their umbrella company, Paperhat Group. After four months of hard work, supported by Cowgills (corporate finance) and Brabners (legal), internal management have self-funded and bought back the 54% share that previous investors, Paperhat, purchased in 2015. The 75-strong agency will continue to serve their wide range of clients, but will now operate as an entirely independent company. In our fifteenth year of trading, we are confident in making decisions defined by our experience and expertise. We pride ourselves on original thinking and flexible working practices; these are values that we can best adhere to as an independent agency. With ambitious plans for growth, we are excited to be in total control of the future of the agency. Joining Paperhat Group in 2015, CTI Digital embraced the opportunity to operate on a larger scale, as a member of the global marketing services provider. Reaching beyond their modest Manchester roots, CTI expanded their staff, gained notable new clients and achieved respected accreditations. With continually growing aspirations, CTI now look to further diversify their service offering and strengthen their brand as an independent agency. CTI is built on continual investment in talented individuals, advancing technology and our clients’ visions; we achieve this by investing in ourselves. In order to maximise efficiency, to perform with agility, and to be in a position to accept exciting challenges, we are proud to be an independent business once again. The MBO was officially completed this week. To be owned by internal senior management ensures that CTI is led by those with a vested interest in maintaining the agency’s long-standing culture. The management team at CTI Digital have assured their staff, clients and partners that it will be ‘business as usual’, as the agency embarks confidently on a journey of future progression. For more information please contact James Wilkinson, Marketing Director, CTI Digital - 0161 826 4875, or email us at hello@ctidigital.com. James has worked at CTI Digital since 2014 heading up our marketing department and is the driving force in ensuring all our clients accounts achieve an increasing ROI year on year. 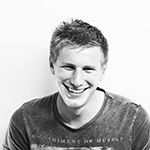 James has previous experience in Google Analytics and Adwords management, and has handled account spends of over £300,000 per year. He then moved into automated marketing working on a range of B2B and B2C clients driving engagement, deliverability and automated campaigns. He has experience of running fully integrated campaigns for clients and working on an ongoing basis driving leads for businesses and sales for ecommerce clients.